Jamaica a vacation destination that is located in the center of the Caribbean Sea, and is set apart historically and culturally. With our world-class reefs for diving found just off-shore, our pristine waterfalls, wetlands harboring endangered crocodiles and manatees, unbelievable and unforgettable sunsets making your vacation distinct and memorable. When you arrive at this year-round vacation destination you will agree with Columbus as he described Jamaica as "the fairest isle that eyes beheld; mountainous all full of valleys and fields and plains"
Jamaica's motto "Out of Many, One People" reflects our diverse West African, Irish, Germans, Welsh, Hispanic, Chinese and Indian heritage. 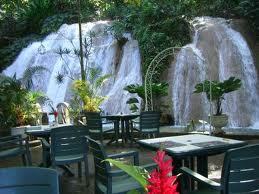 There are lots of attractions for you to enjoy and participate in. So do start planning your vacation for this year. We have dozens of hotels and resorts for you to choose from for you and your family to enjoy. Jamaica boasts quite a number of private villas for rent including modest cottage to lavish beach front estates all here for your choosing. 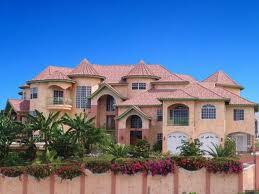 Montego Bay has a large selections of villas for you to choose from. Renting a villa is great if you are having a family reunion, or you are a large family or just hanging with some friends. You can all sit around and chat, play privately. Most have their own pool, so there is no cut off time for using the pool and is usually fully staff. This then becomes very cost-effective. It is something for you to think about. 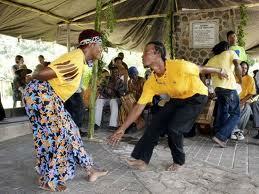 Port Antonio is host to an African cultural celebration. It is a showcase of children's talent. Read more about this celebration of education and drumming the cultural heartbeat of the island of Jamaica listed on my reggae festival page. 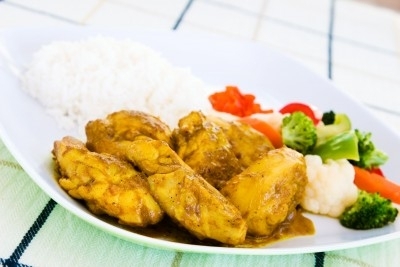 Curried chicken is another of our favorite Jamaican dish that I am sure you'll find easy to make and finger licking delicious. Mix together all the seasoning, rub over chicken and marinate for at least two hours in the refrigerator. Heat oil in skillet over medium flame and add chicken and saute. Add seasoning and water, allow chicken to cook over medium flame for thirty minutes. Add diced potatoes and cook for an additional forty minutes, or until meat is tender.